We LOVE to celebrate our SCBWI Austria/Germany tribe-mates! 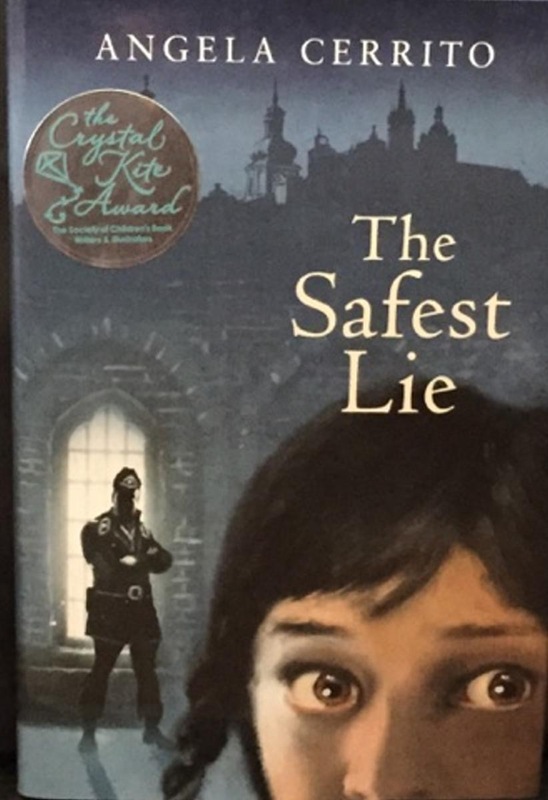 One of our own, Angela Cerrito, recently won the Crystal Kite Award for her book, The Safest Lie. For those of you unfamiliar with the Crystal Kite, it is a peer-given award to recognize great books from 15 SCBWI regional divisions around the world. 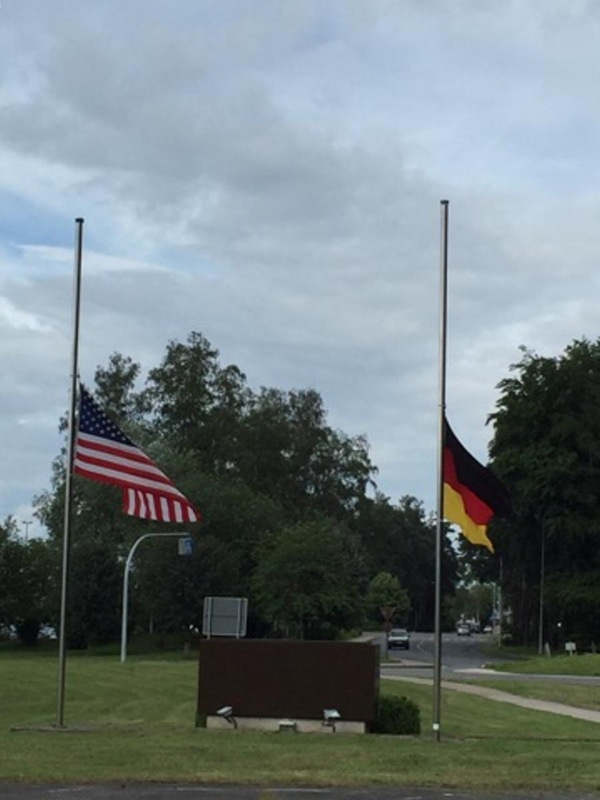 Angela Cerrito lives in Germany and works as a pediatric physical therapist. She has two books published with Holiday House and recently had her first play produced in Tyler, TX. When she’s not reading, writing, or blasting Hamilton, she can be found traveling with her family, hanging out at the theatre (in the audience or volunteering backstage) and attempting to protect her small vegetable garden from giant intruders. 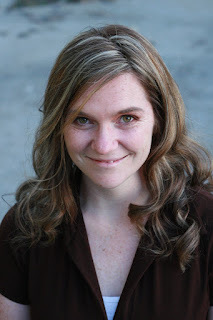 She volunteers as SCBWI’s Assistant International Advisor and is a reporter for Cynsations. What inspired your idea behind The Safest Lie? I think I’m a writer in search of a routine. The one constant with all of my projects is many comprehensive revisions. Another non-routine writing trait I have is: getting distracted. I’m constantly working on several projects at once and they compete for my time and attention. This was, in fact, the topic of my first published poem. It was about hundreds of storytellers in my mind, published in Once Upon a Time. What books are you currently reading right now? I’m re-reading Anatomy of Peace, an insightful book about human interactions and self-awareness. I just finished Salt to the Sea by Ruta Sepetys, a beautiful, haunting and important book. Today I started A Darker Shade of Magic by Victoria Schwab. I’m immediately drawn in by the characters, action and magnificently unique setting! How has SCBWI shaped or encouraged your growth and success as a writer? I can’t talk about joining SCBWI without mentioning Erzsi Deak. She was in charge of the international regions and the SCBWI Conference in Bologna at that time. She answered all of my questions, mentored every single attendee at the conference and encouraged me to apply for the Kimberly Colen Memorial Grant. She now has her own international literary agency, Hen and Ink Literary Studio (http://www.henandink.com/ )The Kimberly Colen Memorial Grant made it possible for me to take a research trip to Poland for The Safest Lie. SCBWI not only offers conferences where I learned about publishing and made it possible for me to find critique groups to improve my writing, it’s more than that. Through SCBWI I’ve met some of my very best friends. As a fellow writer, I know that writing a book really takes a kind of community. Who are some of the people who support your writing journey? I can’t say enough about my immediate family who know what it is like to live with a writer. They understand my need to write, accept me slipping in and out of writing worlds (and this one) and are enthusiastic about all of my attempts and support me when I need it most. My extended family is great too. I agree that having a supportive community makes all the difference. I’m so lucky to have such a large, loving family and many close friends from over the years. Was there ever a time in your writing journey when you wanted to give up? If so, what motivated you to keep on? Yes, this happened right before I connected with my first agent. I had a lot of requests for full manuscripts from agents. I had great feedback from an agent who didn’t want to sign me, but gave me a perfect revision roadmap. I didn’t want to give up writing, but I had the idea that my manuscript was too bleak, too dark and that no one would ever want to publish it. I almost gave up. I remember telling my husband I was going to shelve that book and move on to something else. He told me, “It’s finished and you’re really close. Don’t you think you should keep trying?” It wasn’t long before I found my first agent. He said the two boys in the story were like him and his brother and one of the adults in The End of the Line reminded him of his Drill Sargent. Finally, I had found someone who connected with the story. Enjoy what you write. Don’t be afraid to revise. When you get feedback, do a gut-check to see if the suggestions really resonate with your intentions. Remember, there is more than one way to revise a manuscript. Most of all, don’t be afraid to try new things. A couple of summers ago, I took a playwriting class. I was certain I wouldn’t have an idea for a play and was too busy to consider writing one. I joined the class because I had a lot of respect for the teacher and the other writers and simply to have some new writing exercises. I ended up falling in love with the medium. I’ve just had my first play produced and have a few short plays out on submission. 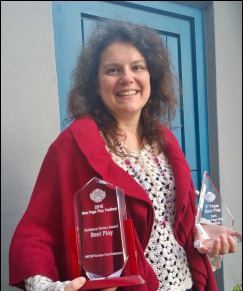 She's an award winning playwright as well! Tell us about the Crystal Kite process. Did you submit your book or did someone else? Were you surprised to see your name and book on the award list? The process is easy. When you add a published book to your SCBWI profile, there is a check box to be included in the Crystal Kite. Yes, was I ever surprised! 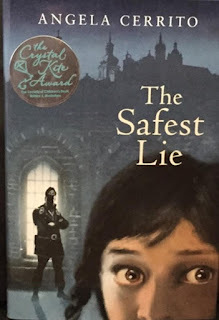 I was honored to be on the short list and in a daze when I found out the The Safest Lie was awarded SCBWI’s Crystal Kite! Where do you go for new book ideas? I have many storytellers in my head, each with many stories … the key for me is selecting the next one and listening well. Cost aside, what would be your dream meal? My kid makes the best vegan lasagna. I also love veggies on the grill and sautéed spinach with lots of garlic. More important than what I eat is sharing a meal with family and friends. My grandmother used to talk about all of the amazing inventions I’d see in my lifetime. She speculated that I’d fly into space for lunch and be home in time for dinner. It would be pretty amazing to spend a day zooming through space with my grandma. I wanted to be a physical therapist starting when I was 12. Twelve years later, I had graduated and had my license! I consider myself lucky every day to be part of this profession. Talking to friends and family, being outside, reading poetry aloud, being silly, listening to my parrot laugh, music, being around children … to name a few. How far do you think you'd make it in the Hunger Games? What would your special survival skill be? Honestly, I’d be lucky to make it into the arena. I’d never kill anyone. I’m not quiet enough to hide. I’d be among the first tributes projected into the sky, I’m sure of it. And I’m okay with that. What is the weirdest thing about you? Are you proud of it? Well, aside from the truly embarrassing things that I wouldn’t want to share publicly, some of my friends tell me that it’s weird that I don’t brush my hair. My hair is pretty much constantly a mess and brushing it just makes it stick up and frizz out even more. I’m not proud of this, more like used to it, I guess. Oh, I thought of something else weird. Something I keep in my office. 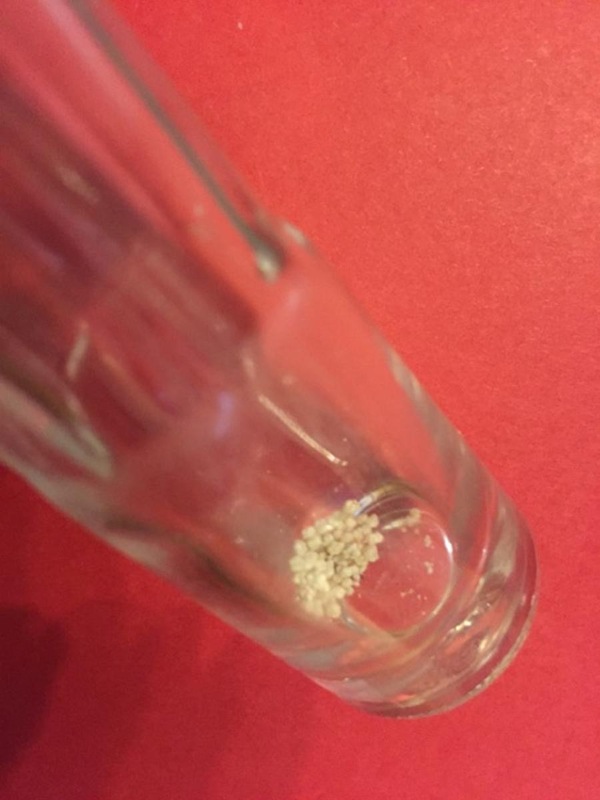 When I had my gallbladder out, the doctor gave me the gallstones, more than 40 of them and each as small as a speck of salt. I keep them in a tiny glass bottle on my shelf as a reminder that something so very small can be so significant. 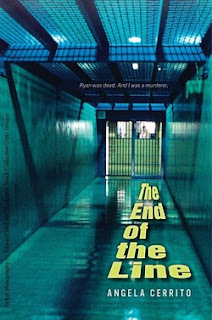 If you had to be trapped IN a book for a month (the book's story) which book would you choose? Ah to live in Randall Jarrell’s Animal Family and experience the sea as one of its beings, run with lynx and befriend bear. A month may not be long enough! 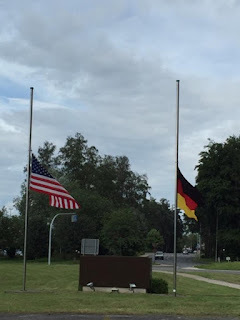 When I started this interview, it was the US and German flags flying half-mast out of respect for the victims of the Orlando shootings, but now I have a few others, the last being a table setting at the father-daughter princess ball. Also, a photo of the gallstones I mentioned earlier! Marcy Pusey, CRC, is a clinical counselor, writer, wife, and mommy living the serendipitous moments of God’s divine intentions. 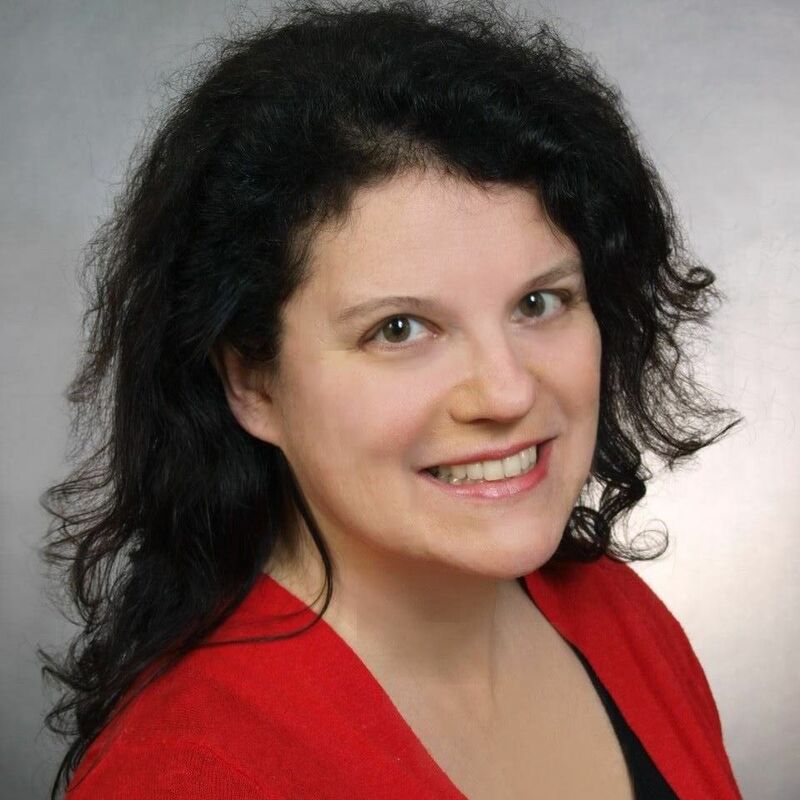 Over the last sixteen years, Marcy has worked with children, adolescents, adults, families, and couples through private practices, group homes, foster family agencies, community based services, and wrap-around programs. She lives in the Black Forest of Germany with her husband and four children. She blogs inspirationally about her work, writing, and other resources at www.marcypusey.wordpress.com. 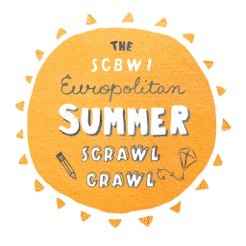 SCBWI Germany and Austria will be hosting three free Scrawl Crawls around the country. We’re meeting at Kaffee Uhlenbusch between 10 and 10:15 AM. If the weather cooperates, we’ll Scrawl Crawl in Düsseldorf. If it’s raining, we’ll do our scrawling in the café with a writerly exercise. Either way, we’ll be done by 12:00. Be sure to bring the tools of your trade (paper, pen, camera, sketchbook) and something you are working on. Jane Park at janejpark AT gmail DOT com, so we can send contact cell numbers back and forth. Hellabrun, Munich's Zoo, while the day is still fresh and cool. Join us at 09:00 at the entrance nearest to the Thalkirchner U-bahn station. (Cross the bridge over the Isar River and Canal and the zoo will be on your right.) Late joiners are welcome. My cell number is 0163 4524822. Please include your cell number when you confirm. In case of bad weather, we can take shelter and work in the reptile, elephant, giraffe, monkey, gorilla, penguin or fish areas. Please contact Twyla to confirm your participation: 0163 4524822. Please include your cell number when you confirm. Let’s Scrawl Crawl in Stuttgart on June 25th! Please contact Catherine Friess at cjfriess@gmx.com if you would like to join the Stuttgart Scrawl Crawl. It will be useful if you could give her a mobile number so that she can contact you in case of any last minute changes. In the case of bad weather we will meet in our usual venue – the children’s section of Stuttgart library.